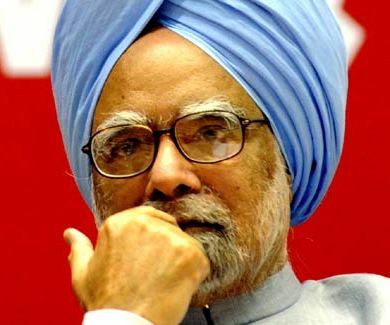 It is time for self-praise for the United Progressive Alliance (UPA) government of economist turned reluctant politician Manmohan Singh; the 24×7 channels are working over time to fix the TRPs of the second Congress led coalition’s first anniversary in office. By and large it is a favourable rate card, to the UPA-2. Manmohan Singh is given the top honours in performance sweepstakes, though social scientists like Ramachandra Guha opine that the prime minister is not seen as leading from the front. They have a point. As Guha said in his Hindustan Times column, Singh has been content mostly with interactions at the Vigyan Bhavan and CII. He has not visited all the state capitals nor did he reach out to the aam admi –his party and his government claim to work for. In his first innings, he visited some villages outside Hyderabad for a first hand feel of farmers’ distress. It remained a one off exercise. True, the Congress president Sonia Gandhi looks after political management – health of the Congress itself and ties with the allies, and thus allows the prime minister to focus on the governance of the country. That is his area of specialization. But in a democracy, governance is not an abstract act. Nor is it GDP crunching. As the acknowledged author of turnaround story, he was (is) in a position to carry conviction with the people and aam admi would have loved to hear him and be convinced. Alas, it is not the case. 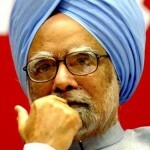 If his earlier stint as finance minister is also factored in, Manmohan Singh can be said to have remained in his own familiar nest. And in my view, it was one of the major reasons that contributed to lack of popular support to the economic liberalization ushered in the country in 1991 and for the failure of the Congress party to derive substantial benefits electorally. History is replete with stories of leaders who have overcome their limitations of height and weight and tongue by directly reaching out to the masses. TV channels are saturated with the performance appraisal of Singh and his cabinet colleagues from a political perspective. So, let us turn to the financial perspective to know where the UPA-2 stands. The nation’s statutory auditor, Comptroller & Auditor General (CAG) of India presented to Parliament several reports for the year 2008-09 during the budget session. Over the years, the government auditors have not endeared themselves with the bureaucracy and the ruling political class and the CAG reports are termed an exercise in concern over pennies. The criticism is still valid in a manner of speaking, if we look, for instance, at the spat between the Delhi Metro Rail Corporation (DMRC) and CAG. But there is no denying that the audit reports are the acceptable barometer of the nation’s financial health. In one word, the fiscal health is not rosy. A consolation is that it is not bad when so many economies around the world are either in a melt down state or sustained on doles from Brettonwoods twins. Three key parameters – revenue, fiscal and primary deficits measured relative to GDP indicate deterioration as both revenue and fiscal deficits have increased from Rs. 85,435 crore and Rs. 1,64,962 crore in 2007-08 to Rs. 3,56,377 crore (317.13 per cent) and Rs. 4,34,444 crore (163.36 per cent) in 2008-09, respectively. What is more the revenue deficit at 6.70 per cent of GDP was much higher as against the FRBM target of 1 per cent for the year 2008-09. Similarly, the fiscal deficit at 8.16 per cent of GDP was far greater than the FRBM target of 2.5 per cent for year. Aggregate fiscal liabilities increased consistently and reached the peak level of Rs. 28, 40,135 crore. For the period 1992-2009, internal debt grew at an average annual rate of around 16 per cent, compared to which its growth in 2008-09 was lower at around 12 per cent. In external debt (at current rates) and liabilities in the Public Account, the growth in 2008-09 of 25.68 per cent and 19.21 per cent was much higher than the trend growth rates of 3.70 per cent and 6 per cent respectively. External debt at current rate grew as a result of rupee depreciation. Growth in Public Account liability was on account of issue of special bonds to fertilizer companies (Rs. 20,000 crore) and Petroleum Bonds (net of redemption Rs. 62,600 crore). Analysis of Government expenditure reveals an unhealthy trend – continued surge in non-Plan expenditure. At around 75 per cent, it far outweighs the share of Plan expenditure of 24.97 per cent. Today India is the most favoured destination for FDI. Yet, we are still accessing foreign development assistance. Strangely enough, this aid is not drawn fully. And year after year we are paying what is known as commitment charges to the donor agencies/nations. As on 31 March 2009, unutilized committed external assistance was of the order of Rs. 95,486 crore, up by nearly 22 per cent over the previous year. On this money, the commitment charges amounted to Rs. 117.37 crore in 2008-09. The culprits are ministries dealing with urban development, water resources, infrastructure, and health sectors. Another CAG finding is not edifying, It relates to resource gap. “Compared to an average annual resource gap (incremental revenue expenditure minus incremental revenue receipts) of Rs. 15,530 crore in IX Plan and Rs 4,509 crore for the X Plan, the resource gap widened alarmingly in 2008-09 to Rs 2,70,942 crore which is almost 60 times the average trend resource gap of X Plan”. Savings in a grant or appropriation indicate either defective budgeting or shortfall in performance or both. During 2008-09, savings of more than Rs. 100 crore had occurred in 68 cases of 55 grants (including Civil, Posts, Railways and Defence Services). Their aggregate savings was Rs. 89,902.44 crore. The maverick farmer from Karnataka, Hardhananahalli Doddegowda Deva Gowda made one lasting contribution to the development of the north-east. Faced with perennial funds crunch, the United Front Prime Minister ordered all ministries to set apart 10 per cent of their budget for the N-E and gifted to the North-east a ‘Non lapsable Central Pool of Resources’ (NLCPR). The fund had a total accrual of Rs. 6525 crore during the five years ending with 2007-08 fiscal. Hardly 49 per cent of the fund was utilized and it reflects poorly on the commitment of UPA since it has created a separate ministry for NE development. Delay in funds release leads to time and cost overruns and consequent slow growth rate in the region. There were 524 incomplete projects. Assam leads the table with 143 projects followed by Manipur (44), Sikkim (40) and Nagaland (38). The report card for Accelerated Irrigation Benefits Programme (AIBP) designed to extend the irrigation reach is not impressive. ‘The completion rate of projects under AIBP continued to be poor’, says the CAG Performance Audit. Just six states -Andhra Pradesh, Gujarat, Karnataka, Madhya Pradesh, Maharashtra, and Orissa – cornered between 75 to 85 per cent of the AIBP grants released between 2005-06 and 2007-08. Interestingly, they did not report commensurate performance in terms of project completion. And the Ministry of Water Resources in Delhi took their failure in its stride. Like any auditor, the CAG also has to give a certificate that the audited Accounts give a true and fair view of receipts and disbursements. For the year 2008-09, it did so with a number of ‘qualifications’. For instance, the Centre transferred Rs. 83,224 crore directly to State/district level autonomous bodies, societies, and NGOs amongst others for implementing its major flagship programmes. The unspent aid is outside Government accounts and therefore is unascertainable. The Government expenditure as reflected in the Accounts to that extent is overstated. Another sore point relates to Universal Service Levy collected from Telecom operators and credited to a special fund. Rs. 26,164 crore was collected as the levy from 2002-03 to 2008-09 but only Rs. 7,971 crore was disbursed during this period. Yet, there was no balance in the Fund as on 31 March, 2009. Helpful post, saved the website with interest to see more information! High quality writing. I’ve added it undoubtedly. Piles of sober, tough to find information here. Checked this web log article by making a search on Google. You’re really getting me reexamine my view about this stuff and seldom does that happen to me… LOL. Thanks! I found your site via google thanks for the post. I will save it for future reference. Thanks Penny Stocks is our specialty. You had some nice points here. I done a research on the topic and got most peoples will agree with your blog. haha,The Topic of your blog is very fit to me, I hope more interflow with you this theme.